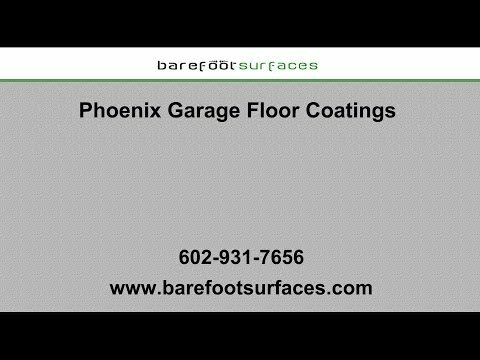 Top 7 Reasons to Choose Epoxy Floor Coatings for your Phoenix Man Cave! Here are some reasons why epoxy floor coatings will take your man cave to the next level! Do you have a man cave in your home? Have you secured a space in the garage, basement or other secluded part of your home that is solely yours, a place you can express your personality and decorate any way you want without upsetting your mother, girlfriend, wife or partner? When it comes to accessorizing and utilizing your man cave, the sky is the limit. Maybe you enjoy woodwork, car repairs, playing darts or pool, hanging out in front of you movie sized TV screen and drinking a few beers, or collecting comics. Whatever it may be that brings you joy, your man cave needs to be able to handle it. And while you may have everything you need in your man cave, can you say the same thing about your floor? Or in other words: is your floor as tough as you? If your answer is no, consider adding an epoxy floor coating to your man cave’s concrete floor to enhance its look and best of all, its durability. They are easy to clean. You weren’t planning on cleaning your floor? Okay, let’s say epoxy floor coatings are extremely low maintenance, because they don’t get dirty easily and we are sure your partner (who on occasion may sneak in to clean your cave after all) will appreciate that as much as you do. In contrast, bare concrete stains easily, absorbs the smell of that spilled beer and is not as forgiving as your wife if you attempt to fix your motorcycle in your man cave. Having a floor coating that can take a virtual beating, while being easy to clean, is one of the top reasons to choose epoxy floor coatings for you Phoenix man cave floor. It is strong and resistant. Because epoxy is an industrial floor coating, you can count on it being strong and durable. It withstands chemicals, is wear resistant and forms a fantastic bond with its substrate (your man cave concrete floor). It is non-porous which means it will last you for years to come. Think of it this way, if industrial machinery can drive over epoxy floor coating without destroying it, it will easily be able to take the abuse you and your crew are going to inflict on it. It looks great. While initially you may be more interested in functional, then great looking, you will soon discover that epoxy floor coatings give you the opportunity to express yourself. Phoenix epoxy flooring come in a myriad of colors and chip blends, making them suitable for your man cave no matter what the theme. Maybe you would like a “Dr. Who Blue” for your man cave floor, or a “Green Bay Packers Green”, a “Darth Vader Black”, or a “Ducati Red”. Whatever look you are going for, your floor coating is here to make your man cave look even better. And because of its extreme durability, your floor will look great, longer. It is water and slip resistant. This lowers the odds of someone slipping in your man cave, after you spilled that last beer or glass of water and you won’t face a lawsuit over a broken leg. Additionally, it is also fire resistant, which may just convince your significant other to let you smoke cigars during your weekly poker game, after all. They are really versatile. We know that not every man cave is a party cave. Maybe you are looking to enhance your garage floor so you can tinker with your motorcycle or your wife’s minivan, maybe you have created a home gym with weights, and other exercise equipment, or maybe you always wanted a library in your home. The great thing about epoxy coatings is that they can be used virtually anywhere. Their many color option ensure that you will find a coating to match any decor in any home. If you are an allergy sufferer, epoxy concrete floor coatings can bring tremendous relief. And because they look fantastic, they can be used in your living room, kitchen, bathroom, or even your pool deck. This also means that it won’t take much effort at all to dress them up or down, with a rug, a nice couch or sofa or anything else. Utilitarian and cold looking concrete floors are a thing of the past. Goes on fast and dries fast. Even though you technically could, you probably should leave the epoxy coat application to your local floor coating specialist to ensure that you end up with a floor that is both beautiful and strong. Epoxy has the tendency to dry a bit faster than you might expect, which can make working with it a bit challenging at times. Your floor coating technician has the experience and the know how to give you the man-cave floor coating, you deserve. And because the process doesn’t take that long, you are back in your cave in no time at all. It is good for the environment. Because epoxy coating is long lasting and durable, you won’t have to reapply it nearly as often as many other coatings. Its non-porous nature prevents oil and other chemicals from seeping in, protecting the ground as well. Oftentimes, it can even bring a floor back to life that otherwise would have needed to be replaced. There are so many great reasons why a Phoenix epoxy floor coating is the perfect fit for your man cave (and her She-Shed, as well). Barefoot Surfaces has years of experience in epoxy and polyaspartic floor coatings and can assist you in selecting the floor coating to suit your needs. You can also check out our great portfolio to get inspired today and consider a patio epoxy floor coating in Phoenix for your outdoor man cave. If you need more information about the services and coatings we offer, please contact us today.